Get decked out in some awesome Handmade Studio gear! 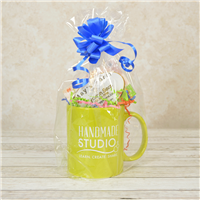 This adorable gift set is perfect for that love all things handmade! Purchase an official Handmade Studio Apron fit for most adult statures. Lime green color. Great for hobbyists and artisans! 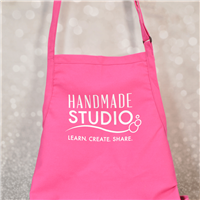 Get your own official pink Handmade Studio Apron! 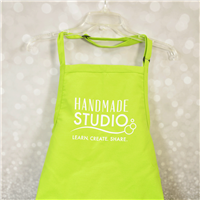 This apron is fit for most adult statures and is great for hobbyists and artisans! 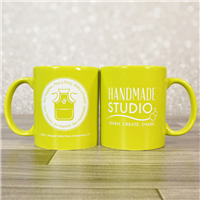 Get this adorable Handmade Studio Coffee Mug for Handmade Studio enthusiasts. Lime green color. 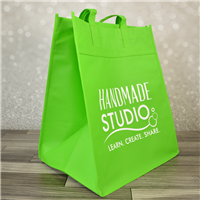 The Handmade Studio Shopping Tote - Lime Green is an adorable, eco-friendly way to shop or carry items.